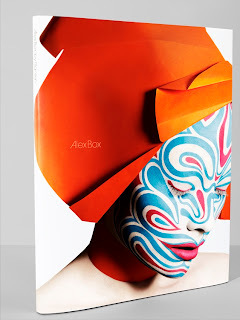 To all of you already on your Christmas breaks, or with a spare evening tonight, why not enter our competition where you can win a Limited Edition Alex Box by Rankin book, signed by Alex Box herself and a set of Limited Edition lashes. Our critically acclaimed cruelty free brushes worth over £60 make up the second place prize. 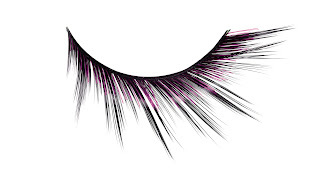 Come up with a make-up look inspired by your own alter ego… something different, inventive, innovative, creative… what ever you like! Red eyes, silver lips, gold cheeks… anything goes! The winners will be judged on the basis of originality and creativity not just professional technique. Simply send in a photograph or blog page to the mizzworthy blog. The contest closes at Midnight on Wednesday 17th December. This is the final deadline and no extensions will be made – if we extend then Alex Box will be unable to judge due to her schedule. Finalists will be chosen by Mizzworthy and Krystal and the shortlist forwarded on to Alex Box who will come in to judge the winner and runner up by 22nd December. For inspiration, I have included some images that Halimah created for our Golden Goddess video on Youtube and some beautiful images I found on ModelMayhem – one of my favourite places to have a browse when I need some inspiration of my own! 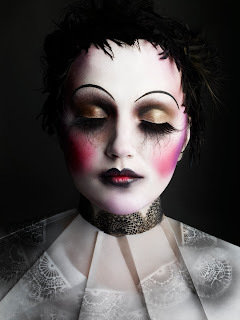 Go to modelmayhem.com and search for a make-up artist and click on one of their images. Underneath this it will come up with a “list” and show all the lists that the image has featured on. If you click on the “list” it will show all the images that that particular list creator loves. Seriously, only do this if you have a spare hour as I predict you will spend ages browsing!